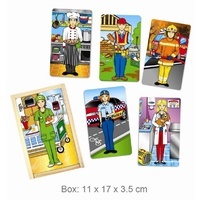 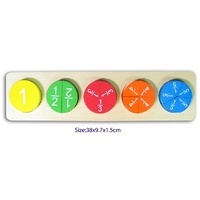 This wonderful educational toy consists of 9 cubes with a picture on each side of the cube comprising 6 different educational puzzles for kids. 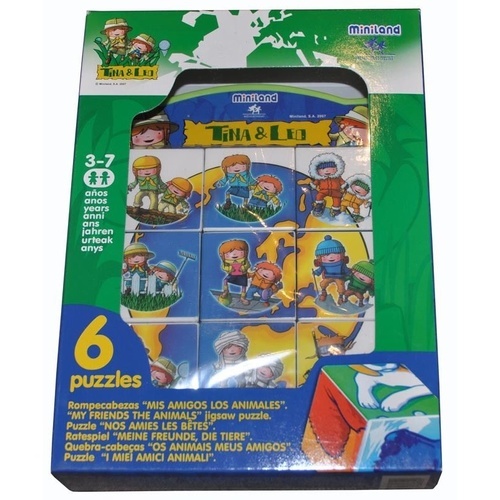 The puzzles are Tina and Leo travelling around the world, Dog, Yak, Dolphin, Horse and Camel. 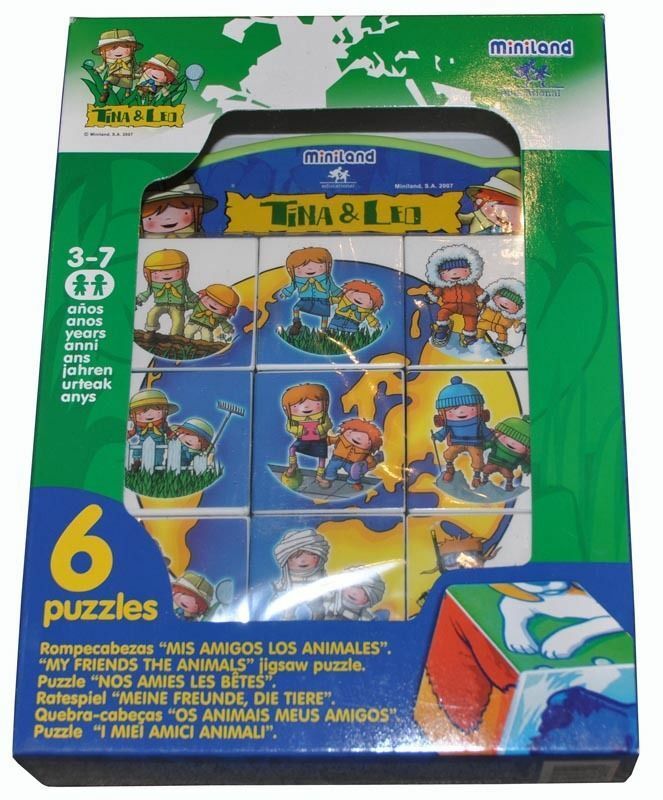 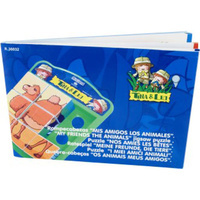 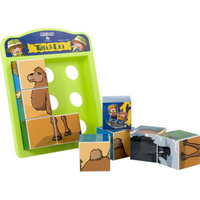 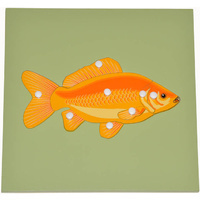 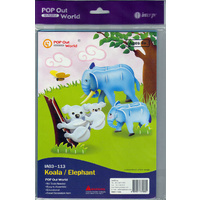 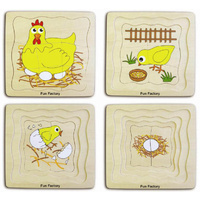 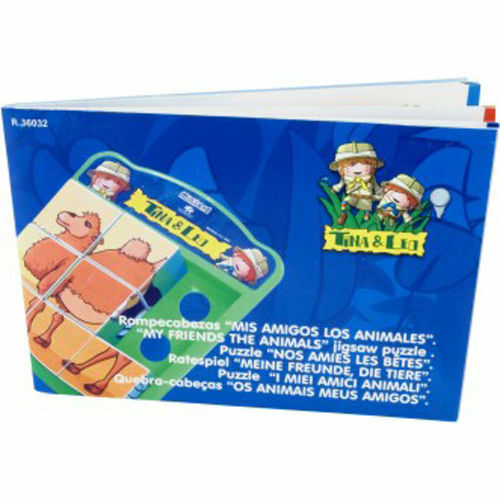 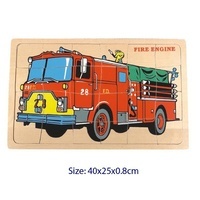 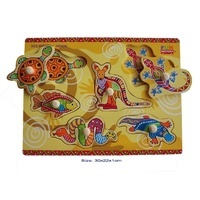 The set also includes a plastic holding tray to make it easier for the kids to arrange the puzzle as well as a very informative guide about the animals in six different languages: English, Spanish, French, German, Italian and Portuguese.